CNR has developed multidisciplinary programs that encompass the natural and social sciences, with a strong commitment to undergraduate teaching. Our ten undergraduate major programs prepare students for graduate study and careers in biological sciences, health professions, environmental fields, policy, law, business, and economics, and include programs designed for students with interests in specific professions, such as forestry and nutrition/dietetics. Most are integrative programs that emphasize flexible, interdisciplinary approaches. 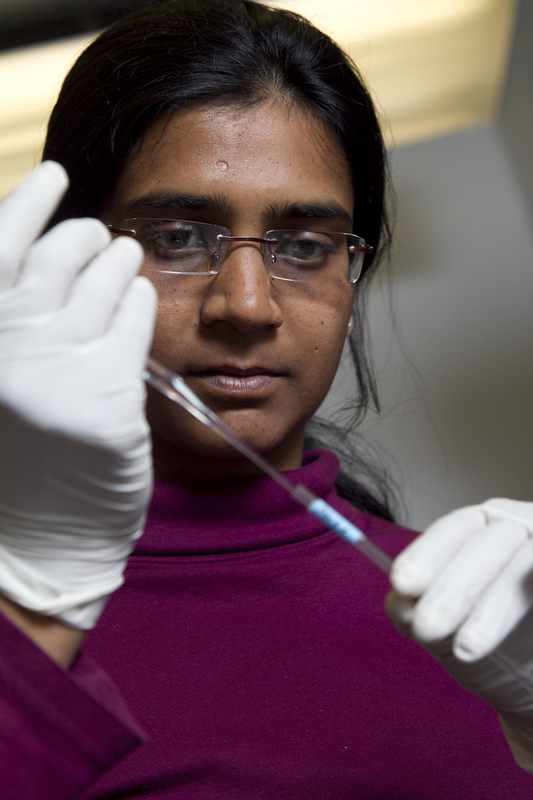 Amrita Hazra, former postdoc in the Taga Lab at Plant and Microbial Biology. (Jim Block photo). CNR offers nine undergraduate minor programs. Students in any major with the appropriate prerequisites may pursue a minor in CNR. All courses used in satisfaction of a minor program must be taken for a letter grade, unless the course is offered only on a Pass/No Pass basis. Students must achieve at least a C (2.0) average in the courses taken in satisfaction of a minor program and may not overlap more than one upper-division course between a major and a minor program.